I LOVE it when people visit from overseas. :D It's the perfect excuse/opportunity to take a break from work and go on a FOOD FEST. I'd been meaning to try this place out after hearing so much about how it's one of the best places for affordable Dim Sum in SG. Everyone seemed to have heard of it/been there before. And know how I found out about it? Instagram. :) After stumbling upon someone's photo of dimsum. That's why it's worth 1 billion. 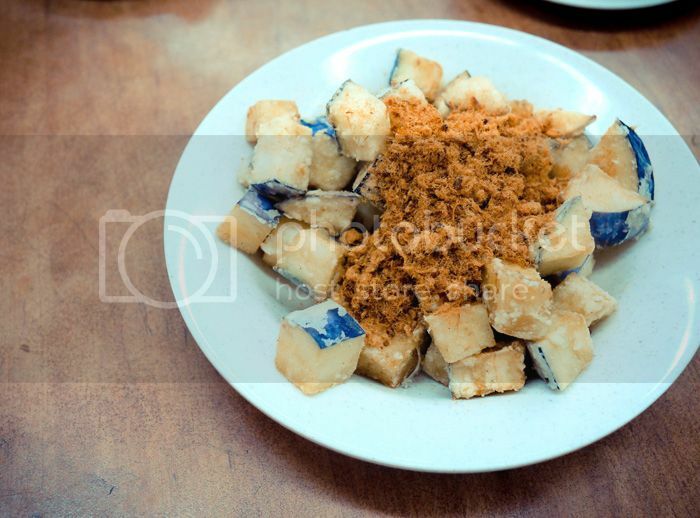 Fried eggplant with pork floss was nice! Yeap, we had a great spread. :D See, that's another reason why it's good to have people visit from another country. You can order a ton of stuff that you really want to try and they're enthusiastic about it because it's all new to them and they don't know any better! BTW, recently a friend of mine mentioned that he doesn't agree with how people tend to do research on places to eat at before going there to try the food, because it spoils the experience/surprise. But does it really? In my opinion, I'd rather read up on a place beforehand so that I don't miss out on their best dish/really good recommended dishes which would make the eating experience worth it. What's your take on the practice of checking out eateries/food reviews before trying a new place out? 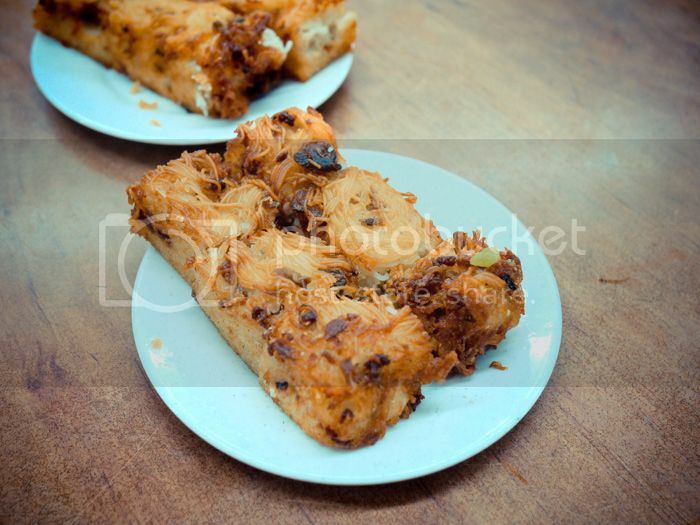 - Onion pancake -- and this has to be dipped in the chili soy sauce concoction they provide you with. HUGE WIN. Thank goodness for friends who know all these secrets. And this makes it way more likely I'll be going back for more. 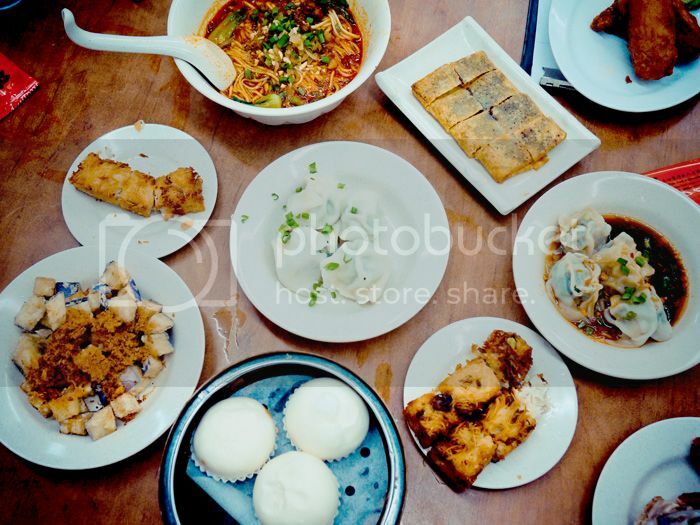 The dim sum may TASTE soso, but your photos make them look like it tastes like HEAVEN! 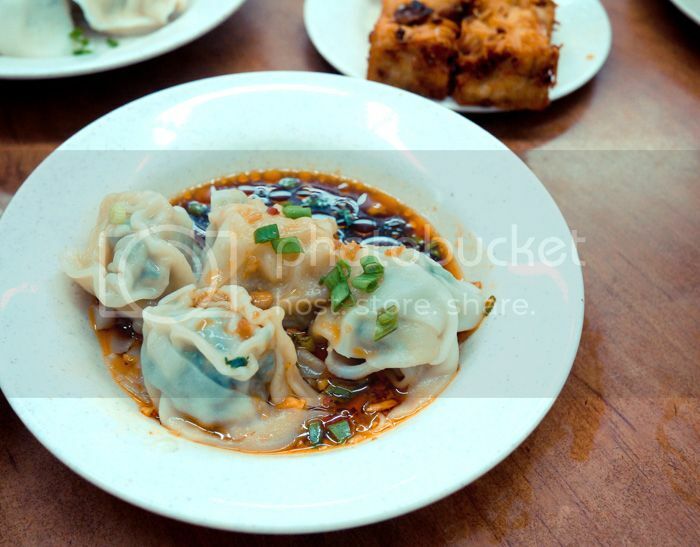 I'm craving dim sum nowww. I pretty much always read reviews of places I eat at before I actually go. I don't know if that's a good thing because sometimes that can cause a bias when going into the restaurant! Haha I changed my mind about this place! :) But only because other items that I tried subsequent to this post were actually REALLY GOOD. Aww hope you get to come back soon! !